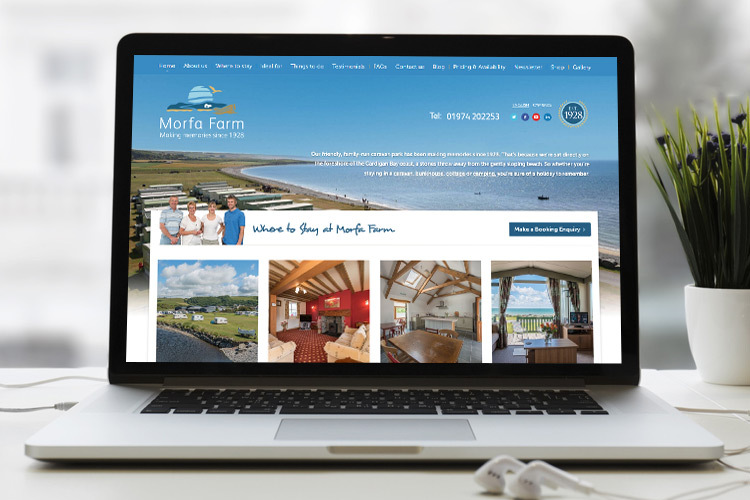 Morfa is a holiday destination caravan park and working farm based in the picturesque West cost of Wales. Visitors seeking a holiday destination are like most online searchers, they need to land on a website which is built around their needs and which quickly, and conveniently answers their key questions & needs. We used our tried & trusted, website design process to build an online experience around the target audience. By creating a fresh, client, professional looking website, the online visitors are left with positive impression. An impression which could be the key difference between whether they use your services or not. The website is fully bi-lingual. *(please note: unlike many other websites featured in ‘Our work‘, we do not host or support the Morfa website so it may be subject to change which is outside of our control).